Earlier this year, AMC already brought two of the greatest shows to ever exist to Netflix streaming: Mad Men and Breaking Bad. Now, they’re bringing even more great shows – like The Walking Dead and Portlandia – from AMC, IFC, The Sundance Channel and WE tv. Since Netflix lost Starz, they’ve had a lot of money in their budget free up to make a lot of new partnerships. Hopefully this will continue. I mean … They’re getting Bridezillas. 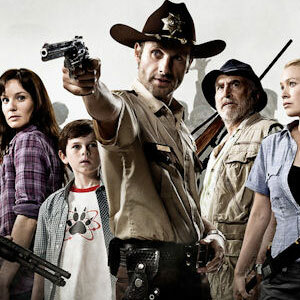 BEVERLY HILLS, Calif. and NEW YORK, Oct. 7, 2011 (GLOBE NEWSWIRE) — Netflix Inc. and AMC Networks Inc. have reached a multi-year licensing agreement that will make prior seasons of AMC’s critically-acclaimed original series, The Walking Dead, available exclusively to Netflix members in the U.S. and Canada. Season 1 of The Walking Dead will be available today. Additional seasons of The Walking Dead, as well as certain future AMC and Sundance Channel programming, will be streaming instantly to Netflix members just prior to the premiere of subsequent seasons. Netflix has also licensed non-exclusive rights in the U.S. to select scripted and unscripted shows, which will also be made available just before the following season debut. This includes programming from across the AMC Networks portfolio of AMC, IFC, Sundance Channel, and WE tv. Specific series include IFC’s Portlandia and The Increasingly Poor Decisions of Todd Margaret; WE tv’s Braxton Family Values, My Fair Wedding, and Bridezillas; and Sundance Channel’s All On The Line with Joe Zee and Girls Who Like Boys Who Like Boys. With more than 25 million members in the United States, Canada and Latin America, Netflix, Inc. (Nasdaq:NFLX – News) is the world’s leading Internet subscription service for enjoying movies and TV shows. For US$7.99 a month, Netflix members can instantly watch unlimited movies and TV episodes streamed over the Internet to PCs, Macs and TVs. Among the large and expanding base of devices streaming from Netflix are Microsoft’s Xbox 360, Nintendo’s Wii and Sony’s PS3 consoles; an array of Blu-ray disc players, Internet-connected TVs, home theater systems, digital video recorders and Internet video players; Apple’s iPhone, iPad and iPod touch, as well as Apple TV and Google TV. In all, more than 700 devices that stream from Netflix are available. Dedicated to producing quality programming and movie content for more than 30 years, AMC Networks Inc. (Nasdaq:AMCX – News) owns and operates several of the most popular and award-winning brands in cable television. AMC, IFC, Sundance Channel, WE tv, and IFC Films produce and deliver distinctive, compelling and culturally relevant content that engages audiences across multiple platforms. The company also operates AMC/Sundance Channel Global, an international programming business, and AMC Networks Broadcasting & Technology, a full-service network programming feed origination and distribution company.